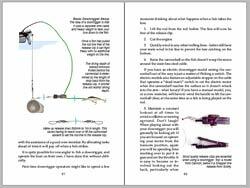 Trolling & Spin Fishing ebook. Want to improve your spin fishing for trout? Learn how to catch more fish? Discover the best trout lures to use? 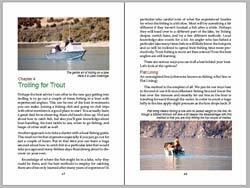 Learn the secrets of trout trolling? Many will have tried spin fishing and trout trolling over the years with mixed results. Some of you will have even made thousands of casts without catching a single trout! It can be a frustrating business. Especially when your fishing buddy seems to catch trout effortlessly every time he goes out! I was always amazed at some of the guys I first went fishing with in a fishing club many years ago. I just couldn’t understand why they were always so annoyingly lucky when it came to catching trout. The most incredible thing was that they were consistent. Consistent that is at catching fish when others didn’t. They were part of the elite 10 percent of trout anglers who catch 90 percent of the fish! Their secret was simple; knowledge and experience. Their success, rather than being random, was the result of past experiences, including much trial and error – with the errors eliminated! Interestingly much of their fishing knowledge was handed down to them from an early age during countless fishing trips with dad and granddad. They know from experience that they can expect to catch fish at a particular lake, at a certain time of year, with this type of fishing tackle, at a certain time of day! That’s great for them. But what about the rest of us who missed out on great early learning passed down from expert anglers. 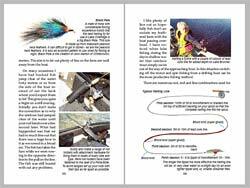 Why Spin Fishing and Trolling together in the same book. As I see it the two are very closely related. In both instances you are attempting to put the same lures in front of a hungry trout or landlocked salmon. With spinning you are using the reel to move the spinner through the water, whereas trolling anglers are making the boat do the work. Spin fishing, or threadlining as it used to be called, is a great way to start out trout fishing. The tackle required is inexpensive and most can learn to use it with just a few minutes instruction. All you need is a rod, reel, line and a few spinners and you are ready to catch fish! In this book we will boost your chances, whether you are after your first trout, or just want to improve your, not so good, catch rate! A misconception is that trolling is easy. That it only involves towing a few lures around on a lake until you catch a fish. If you think that your catch rate per hour of trolling is likely to be very poor. You will just be wasting gas! In this book we’ll show you how to do far better than that! Successful trout trolling on a lake is not just luck. You have to know where you can expect to find fish in a particular lake at certain times of the year; the best trolling speed; fishing depth, methods, and so on. We’ll show you how! Trout Spinning and Trolling Lures – There are an enormous number of different trout spinners available in tackle stores. They come in a mystifying range of colours, shapes, and sizes. How do you know where to start! 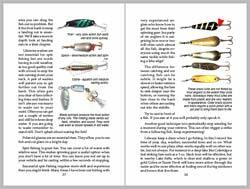 Learn about 40 popular trout lures – each with a colour photograph – and rated so you’ll know the best ones to buy! 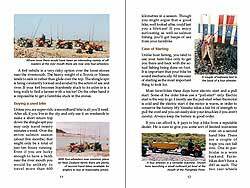 Trolling & Spin Fishing for Trout by Allan Burgess is available for immediate download, use the link below and you will get instant access plus our bonus ebook 4×4 Motor Bikes & Sport Utility Vehicles for Fishing for just NZ$9.95 Introductory Price NZ$9.95 Order you own .pdf version now for just NZ$9.95 – instant download Yes, you get immediate access even if it’s 3:00 A.M. Please note – you are buying an ebook which enables you to gain instant access to the information without having to wait for delivery or pay shipping and handling costs – we do not ship a physical book, you can easily print the books out on your own printer at your convenience. 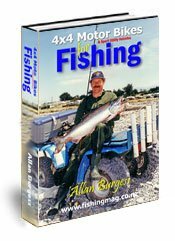 Trolling & Spin Fishing for Trout by Allan Burgess comes as a high resolution pdf file with over 165 colour pictures and 156 pages. The pdf is contained within a zip file and is just over 9.5mb in size. It takes just a minute or two to download (however times will vary depending on your internet connection). You Can’t Lose With Our 100% Satisfaction 30-Day Money Back Guarantee! 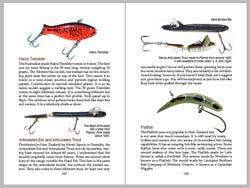 Because we’re so confident you’re going to love Trolling & Spin Fishing for Trout by Allan Burgess, we offer our ironclad, 100%, you-can’t-lose money back guarantee. 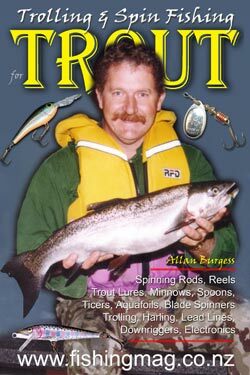 Order Trolling & Spin Fishing for Trout by Allan Burgess right now, read it cover to cover, if you aren’t completely satisfied, then we don’t want your money. Simply contact us anytime within 30 days and we’ll refund all of your money! What could be more fair than that? P.S. Remember, the risk is entirely on me. 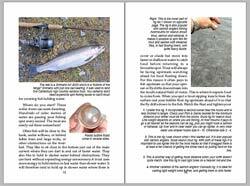 Read Trolling & Spin Fishing for Trout by Allan Burgess for 30 days and if you aren’t satisfied, for any reason, just ask for a prompt, full refund. 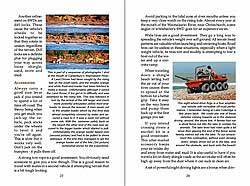 Buy Ebook .pdf – Download Now!